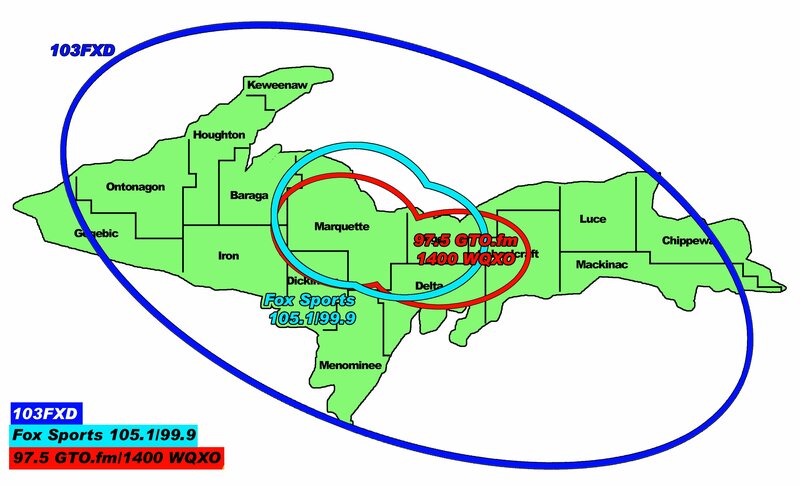 Marquette, Michigan – September 16th, 2015 – John, Pete, Ryan were in Marquette for Marquette Redmen Football Night for their game against the Escanaba Eskimos on Fox Sports Marquette 105.1 & 99.9FM and Simulcast during the Big Game of the Week on 103-FXD. 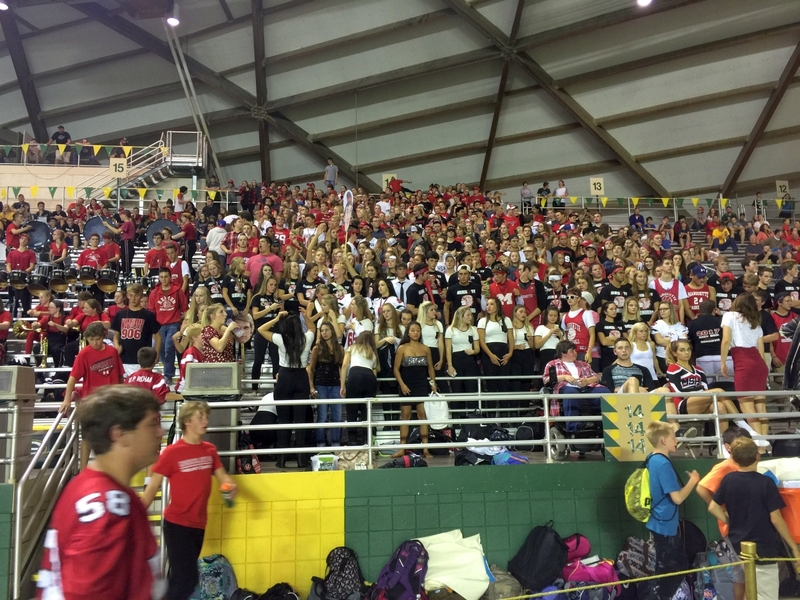 It was the fourth game of the season, and the Redmen looked to take home the win. John, Pete, and Ryan brought you their stats and predictions during the Honor Credit Union pregame show! 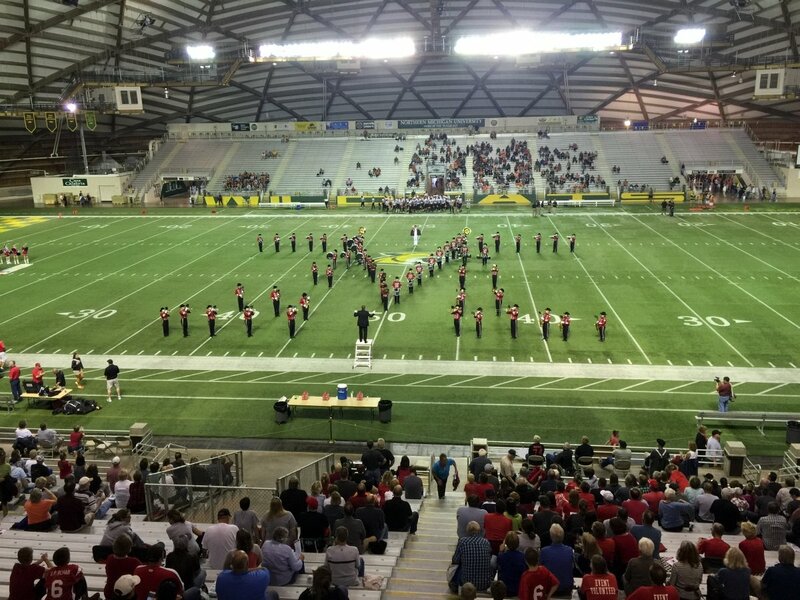 It was Homecoming for the Marquette Redmen football team, and they received the kick off from the Escanaba Eskimos to start the game off in front of a huge crowd. Both teams defenses came to play, and the ball was traded back and forth for the first half of the first quarter. With four minutes left in the quarter, Matt Zambon recovered a fumble from the Eskimos to give Marquette possession from their own 32-yard line. The defense remained strong for both teams, and the first quarter would end with a 0-0 score. 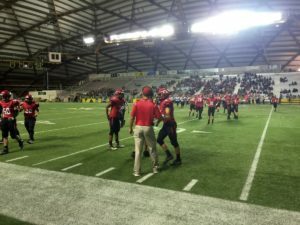 Just after the start of the second quarter, the Escanaba Eskimos scored a touchdown on a 60-yard run, but after a missed point after attempt, the score was 0-6. For much of the second quarter, it seemed like Escanaba was beginning to dominate the game. 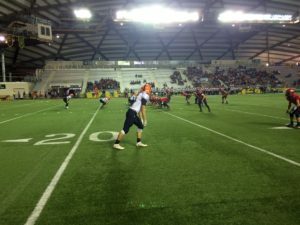 However, the Marquette Redmen fought back hard late in the quarter, giving the Eskimos a good scare just before halftime when Cody Prevost intercepted a pass. They were unable to convert, but it gave Marquette a needed confidence boost going into halftime. The teams switched sides to start the second half of play, and the Marquette Redmen kicked off to the Escanaba Eskimos. It continued to be a game of defense, and Marquette came up huge when they forced a fumble which gave control of the ball back to the Redmen. The Eskimos were forced to fumble the ball for the fourth time in the game with just under two minutes in the game, and Marquette’s hopes to take home the win seemed within reach. 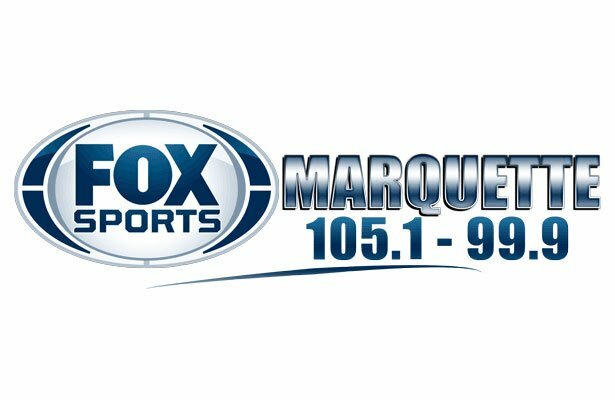 As the quarter ticked away, the Redmen remained in control of the ball with a score of 0-6 on Fox Sports Marquette 105.1 & 99.9FM and Simulcast on 103-FXD! 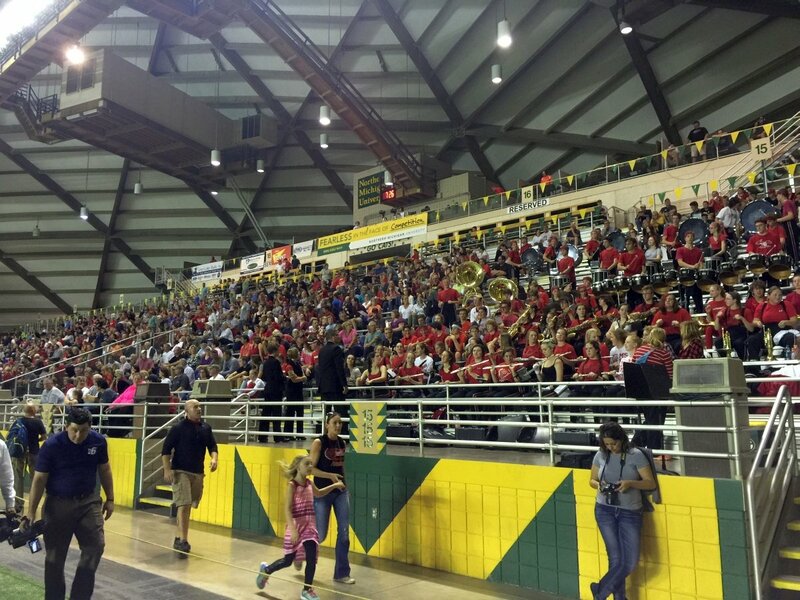 It was a VERY close game for the first three quarters between the Marquette Redmen and the Escanaba Eskimos. Marquette trailed by just six points starting the final quarter, but their defense was on fire, and that kept them in the game. With six and a half minutes remaining in the game, Marquette put their first points onto the board with a field goal to make the score 3-6. On Escanaba’s next drive, they completed their first pass of the game for a 70-yard touchdown. After the conversion attempt, the score was 3-13 with just over four minutes left in the game. Escanaba again added to their total with another touchdown, and after the extra point, the score was 3-20. Marquette fought hard the whole game, but in the end, they were unable to take home the win. 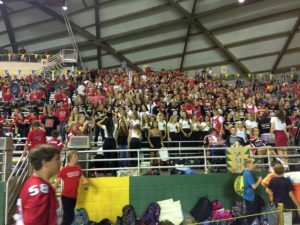 Make sure you join John, Pete, and Ryan next Friday, September 23rd as the Redmen battle Gladstone Braves in Gladstone. John and Pete will have the Honor Credit Union pregame show at 6:15pm on Fox Sports Marquette 105.1 & 99.9FM .